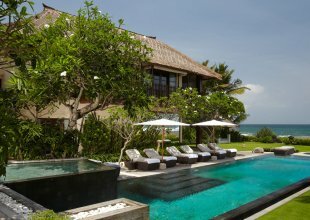 A super luxury villa located on the higher regions of Uluwatu wall in southern Bali. This beautiful five-bedroom luxury resort villa has a well-planned central living pavilion and a poolside bale that provides amazing scenic views of the region. 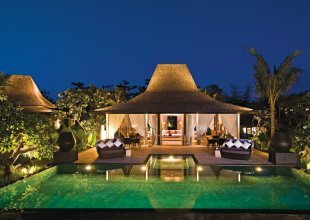 All the furniture used in this villa is modelled in Asian culture and gives a contemporary feel to the villa. One can relax on the outdoor of Villa Jamadara while watching the sun going down over the sea from the indented lounge or from the outside of the dining area. An extra fence for the pool is also available in villa 3288 for children and parents can use to protect the kids from going in to the main pool.